John Gabrieli. Photo by Justin Knight. John Gabrieli, the Grover M. Herman Professor of Health Sciences and Technology and Professor of Brain and Cognitive Sciences as well as the Director of the Martinos Imaging Center at MIT, has been elected to the American Academy of Arts and Sciences in the Neurosciences, Cognitive Sciences, and Behavioral Biology section. Gabrieli and five other MIT professors–Andrea Louise Campbell, the Arthur and Ruth Sloan Professor of Political Science and head of the Department of Political Science; Victor Chernozhukov, professor of economics; Pavel Etingof, professor of mathematics; Jacqueline Hewitt, professor of physics and director of the Kavli Institute for Astrophysics and Space Research; and Vann McGee, professor of philosophy–as well as the chair of the MIT corporation, Robert Brian Millard ’73, were among 213 leaders from academia, business, public affairs, the humanities, and the arts elected to the American Academy of Arts and Sciences, the academy announced this week. 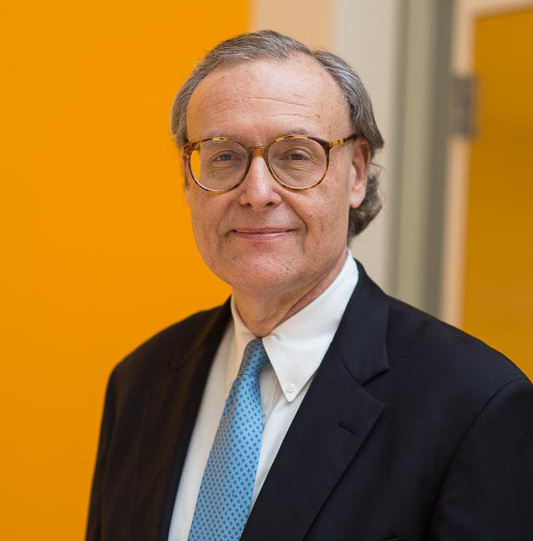 John Gabrieli has faculty appointments in the Department of Brain and Cognitive Sciences and the Institute for Medical Engineering and Science. He is Director of the Athinoula A. Martinos Imaging Center at the McGovern Institute and a Principal Investigator in that Institute. He also has appointments in the Harvard Graduate School of Education and the Department of Psychiatry at Massachusetts General Hospital. One of the main Gabrieli lab goals is to understand principles of brain organization that are consistent across individuals and those that vary across people due to age, personality, and other dimensions of individuality. Therefore, they examine brain-behavior relations across the life span, from children through the elderly. Their primary methods are brain imaging (functional and structural), and the experimental behavioral study of patients with brain injuries. The majority of studies involve functional magnetic resonance imaging (fMRI), but they also employ other brain measures as needed to address scientific questions, including electroencephalography (EEG). Much of the research occurs at the Martinos Imaging Center at the McGovern Institute at MIT, which is affiliated with the Athinoula A. Martinos Center for Biomedical Imaging. The Martinos centers are a collaboration among the Harvard-MIT Division of Health Sciences and Technology (HST), the McGovern Institute for Brain Research, Massachusetts General Hospital, and Harvard Medical School. The Gabrieli Lab affiliations with these outstanding research institutions promote the opportunity for cutting-edge basic cognitive neuroscience research and translation from basic science to clinical application. The new class will be inducted at a ceremony on October 8, 2016, in Cambridge, Massachusetts. Founded in 1780, the American Academy of Arts and Sciences is one of the country’s oldest learned societies and independent policy research centers, convening leaders from the academic, business, and government sectors to respond to the challenges facing the nation and the world. Current Academy research focuses on higher education, the humanities, and the arts; science and technology policy; global security and energy; and American institutions and the public good. The Academy’s work is advanced by its elected members, who are leaders in the academic disciplines, the arts, business, and public affairs from around the world.